You continue being the best card maker I know. 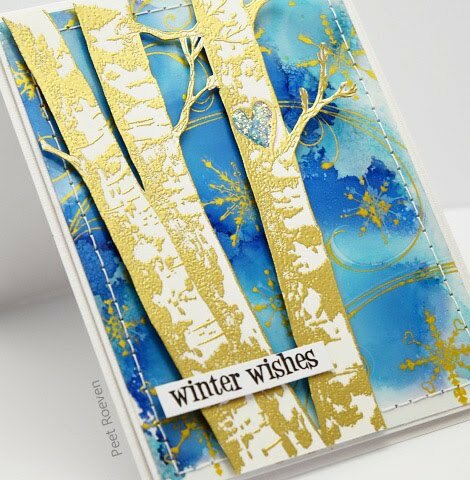 Beautiful card, the trees are amazing. Sending lots of love to you. Elisa from Chile. 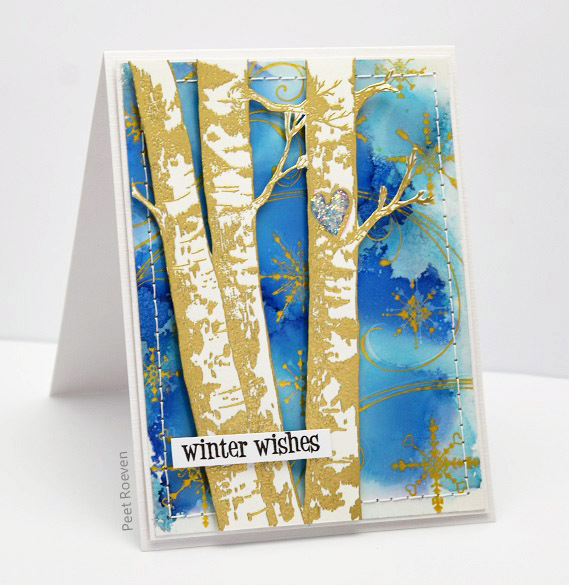 You and that background stamping are a match made in heaven. That rich blue looks amazing with the gold! And those birches trees... you've made them sing!! HUGS! Magnifique carte de paysage de Noël.